Terms of this offer can be found at www.bestbuy.com/visacheckout. 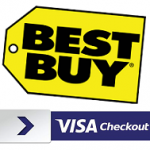 As before, it should be possible to combine this Visa Checkout offer with the current Best Buy deal from Amex Offers, which gives a one-time $25 statement credit when you spend $250 or more either in-store or online by September 5, 2016. This means that if you add your Amex as a payment option to your Visa Checkout account and pay with the Amex through Visa Checkout, you can make $265 in purchases for $230 after applying both promotions. You would have needed to have already signed up for the Amex Offer already, however, as the maximum number of people have registered for the promotion by now. 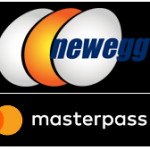 For terms of this offer, see newegg.com/visacheckout. Offer expires August 21, 2016 at 11:59PM PDT, or when funds and/or supplies are exhausted, whichever is first. Only available in the U.S. when displayed on www.newegg.com/visacheckout. Offer is valid for purchases made using Visa Checkout. Enter promo code VCOGOLD16 at checkout and then pay with Visa Checkout for an order of $200 or more before taxes or shipping. Does not include Pre-Order or Gift Cards. Cannot be combined with other promo codes, combos, or promotions that include a free gift or promo code. Limit one discount and one promo code per customer.